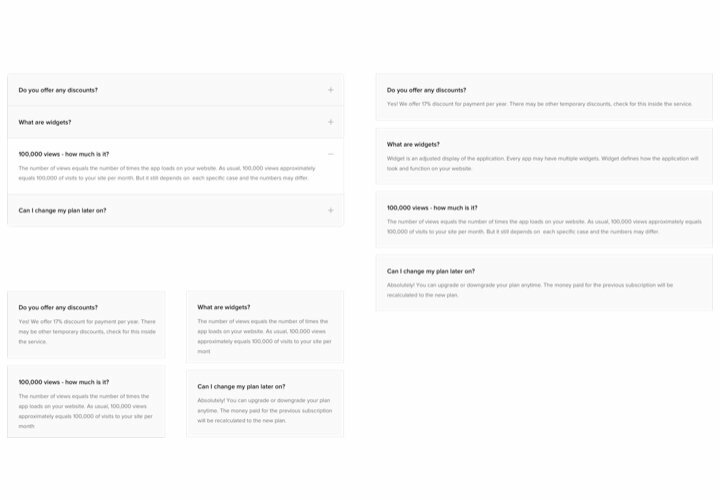 FAQ by Elfsight is a powerful, easy to work with and customize instrument to generate and add a list of the most frequently requested questions with answers on your personal website. 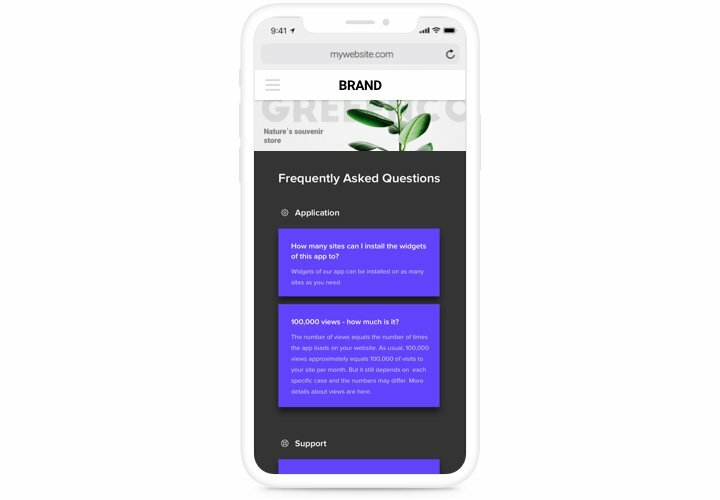 An informative app with simple design allows you to publish detailed data about your services, pay attention of readers to the positive qualities of your offers and prevent any kind of fears and distrust, which could prevent purchase. Answer the coming questions of your users immediately and level up sales on the website! Combat any fears of your users and boost your sales. Provide maximum information about your goods or offers to your future customers, to defeat all possible distrust and raise conversion on the website. Achieve the right perception of your goods or services by clients. 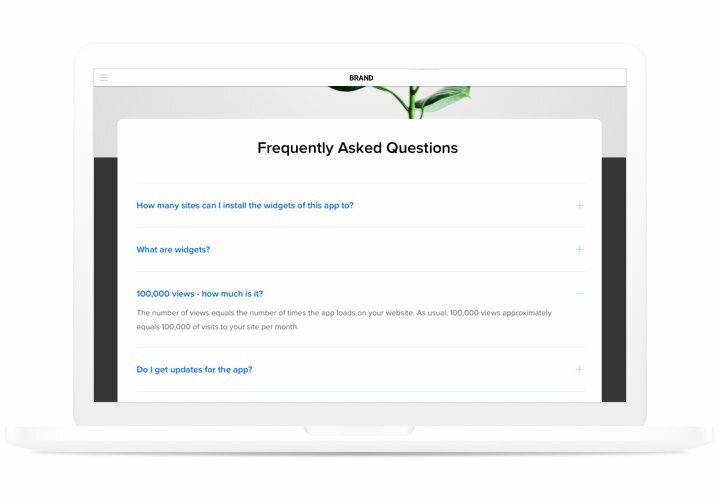 Destroy the most frequent misbelieves and doubts connected with your company using clear and detailed answers. Answer clients’ questions before they arise. Let your clients get the most complete information about your goods or services and provide answer to their questions before they appear. The most prominent traits of Elfsight app, which make it the most flexible method to add FAQ on Wix website. Install a app using our brief tutorial. You don’t need skills in development, or help from a programmer. Setup duration is just 1 minute. With our free editor, assemble a widget with necessary layout and capacities. Acquire a code for showing the app. 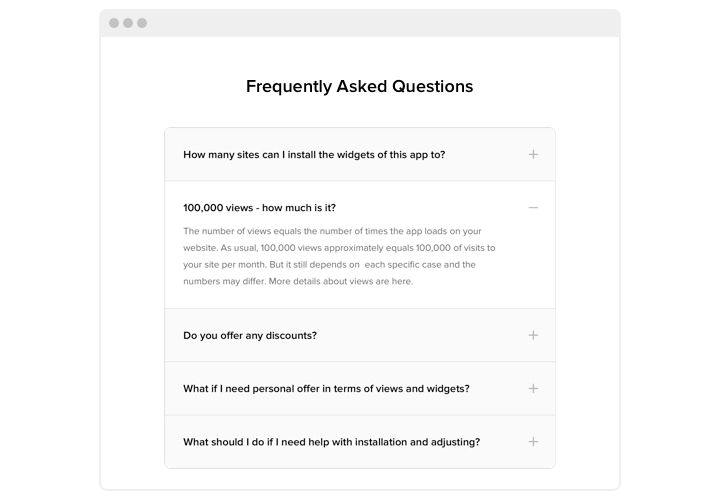 After widget setting, obtain a code for Website FAQ widget from the appeared notification on Elfsight Apps. Reveal the app on Wix site. Display the widget to the required spot of the page and save the changes. Visit your website, to see your widget. Have stumbled on anything while carrying out the tutorial? 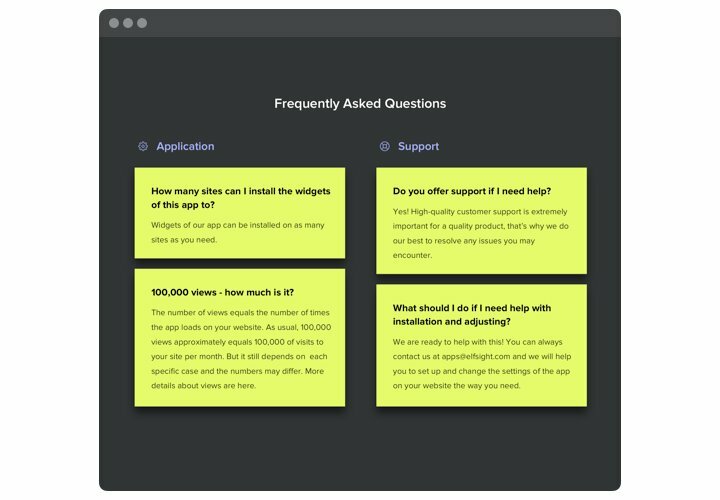 Notify our support center or study a complete version of the tutorial «How to add FAQ to Wix» and finish the setup on your own. 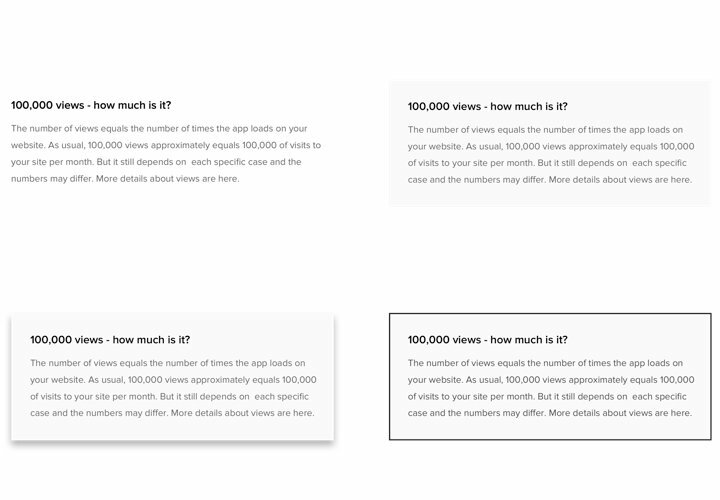 Construct Wix FAQ app in only 3 minutes!